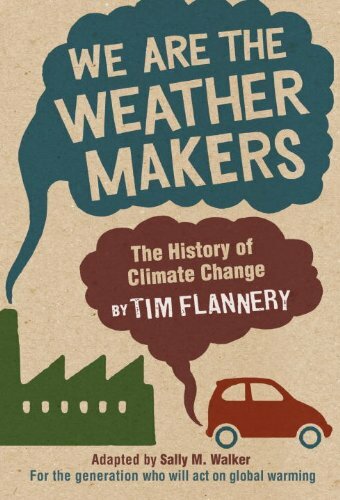 This short book attempts to outline the rise and fall of the Weatherman Organization. Weather, as it came to be known, was an offshoot of the Students for a Democratic Society (SDS). When the SDS fragmented in the late 1960's, Weather became its best known survivor. Weather quickly went "underground" and engaged in a series of bombings that stretched well into the 1970's. Probably the most recognizable event in the history of Weather was the explosion that occurred in a townhouse in New York in 1970, when three members died while constructing bombs. The group bombed the United States Capitol building, banks, police stations and other "symbols" of what they deemed the imperialist-capitalist system. Most members of the Weather group eventually were arrested and sentenced to prison (unfortunately brief) terms. The last action concerning Weather was an armored car robbery in 1981 in New York. Ron Jacobs, the author of this book, really could have done a better job. For one thing, he sympathizes too much with his topic. This causes serious problems with his objectivity and taints the book. His research is lacking as well. He relies exclusively on news clippings and documents. I believe I saw only one citation concerning an interview with a figure involved in the actual events. Errors abound as well, mostly concerning editing problems that should have been rectified before reaching publication. The book resembles a laundry list of events more than a historical narrative. In short, Jacobs takes a subject that has the potential for interest and turns it into cerebral novacaine. I'd like to see a more serious treatment of this topic, preferably written by a professional historian. There is still some value to be found here, however. Even a car wreck of a book can't hide the fact that Weather was made up of serious wackos. The conflicts within Weather about the direction the group should take would be hilarious if it wasn't so dangerous. All the talk about revolution and women's roles in the group become ridiculous when you remember that we are talking about an organization made up of at most a few hundred people. Actually, I hesitate to call Weather an organization because hierarchy was seen as a symptom of the "imperialist pig" system. I also have problems with using the term "underground" in referring to Weather. Most of the group lived openly, albeit under assumed identities, for years. Bernardine Dohrn, who praised the Manson killings and wrote most of the Weather invective, lived with hubby Billy Ayers in New York. They raised children and worked jobs like any other people. When I think of underground, I think of hiding out and moving from safe house to safe house. This definitely didn't happen here. It's unimaginable that members of the Order, a neo-Nazi insurrectionist group active in the 1980's, would have lived the comfortable life many Weather members enjoyed while on the run. Unfortunately, instead of rotting away in prison, most of the former Weather members lead comfy lives today. Billy Ayers is a university professor at UI in Chicago (parents, remember this when looking for schools for your kids) and wife Bernardine works at a legal foundation. Since we can't seem to throw these people in prison, I think the best thing to do is constantly throw light on them and never forget what they did. Marginalize them as much as possible. Many of the issues discussed are framed in a rather negative and unanalytical context.While I agree that mistakes were made and lots of weird things happened, the author's recounting does little to help one figure out why things happened the way they did, in the context of the times. 1. The book contains a litany of weird things done by the Weather Underground, with very little effort at understanding or explanation, or attempt to place in context. I don't think there are easy answers for what happened and what went wrong, but what I would like to see in a study is something that helps one understand.What we have here is not much more than a review of old newspaper stories and some books.Much more primary material is needed, namely, frank interviews with people who were there.That's not easy, because the people are dispersed and not necessarily anxious to talk. But the book fails without some serious first-hand views.And it should be noted that not everything published at the time, by Weather or others, was necessarily reliable or accurate. 2. The author uses a lot of the rhetoric and slogans of the era without definition or explanation.Examples:fascism, imperialism, nationalist (page 3); black colony (page 27); ultra-leftism (page 146). 3. I don't agree that the original Weatherman paper did "little else" than define the role of black people in the U.S. (page 27). 4. I thought the reference to the Weather sign about GE workers (page 75) was peculiar.Perhaps it's accurate, perhaps it's not.To the extent it represents an actual syndrome, more supporting material would be helpful. Pages 4, 6:Fairmont Hotel misspelled. Page 5:Herbert Marcuse was at San Diego, not San Jose. Page 7:Terry Robbins was from Ohio (as noted on page 100), not Michigan. Page 23:Dean Rusk misspelled (note 4). Page 62:Richard Elrod was not a corporate attorney; he was a city attorney, as noted on the next page.The story of what happened to Elrod is an interesting one, but the book doesn't really have it. Page 84:The date of the War Council is wrong in the last paragraph; it was at the end of December, 1969. Page 114:The lawyer's name is incorrect. Page 116:First paragraph, incorrect name of Tom C. Huston. Page 135:Leslie Bacon was called as a grand jury witness but I don't think she was charged with the Capitol bombing. Page 137:The Georgia Straight was not an Atlanta newspaper; it was from Vancouver, B.C. Page 146:Van Lydegraf was in his fifties, not his sixties.I'm not certain that he was expelled from either the CP or PL.He may have quit. Pages 174-178:This section has numerous errors of fact and interpretation regarding PFOC. Page 179, top paragraph:The use of the passive voice here is not responsible.Who suggested this? Page 180:Grace Fortner was not the name of the "woman originally identified as Esther." Page 186:PFOC did not exist in Seattle in 1990-91. All of these errors, and many more not mentioned, demonstrate two things: the author was not really familiar with the subject, and the book was poorly edited. Useful for the bibliography and notes, but little else. Chock-full of inaccuracies and questionable interpretation, as Mr. Lippman pointed out below. A few examples: "[Bill Ayers] met Diana Oughton later that school year , and together they began working at the Children's Community School." (p. 203). Ayers' "Fugitive Days": "In my second year at the Children's Community, Diana Oughton...arrived to volunteer at our school." (p. 91). The cover photograph of Bernardine Dohrn and Brian Flanagan is reversed from its printing on p. 63. When easily verifiable factual errors are made, one must question statements of a more interpretive nature. Marcuse is "a controversial Marxist philosopher and professor at San Jose State" (p. 5). This is a less than useful description of "One Dimensional Man"'s author, and contributes nothing to our understanding of his place in the intellectual climate of the time. I think most telling are Jacobs' acknowledgements. He thanks library staff for their help in helping him assemble material, throws off an "[A]lso, acknowledgements are extended to Roger Lippman, ... as well as various activists whose insights and conversation helped to shape my approach to this book." Jacobs then thanks his housemates, put on a par with ex-Weatherpeople. Jacobs is offering his less than well informed review of already published material. There is no indication he went to any effort to discuss the Weather Underground with the major actors he writes about. This might be a worthy masters thesis at a second-rate college, but is not the sort of thing you would get from a professional historian. 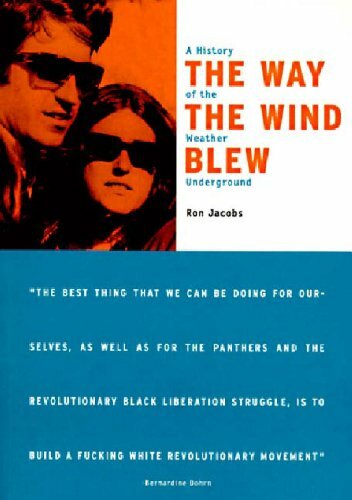 Jacobs, certainly with a leftist perspective, attempts to explain the motives of the Weather Underground.Classify them as terrorists or glorify them as heroes, but either way, they made an undisputable mark on history if one is willing to take the time to write reviews characterizing them as both.The fact is that in 200 pages, one can not clearly express what the Weather Organization did, why, and when those actions occured and why that timing was deemed necessary.In spite of that, Jacobs gives a great framework, regardless of your perspectives on the movement, for a cursory survey.In that context, this is perhaps the best book on the movement.If you are seriously researching the movement, this is great background, but in 200 pages, you'll never get the whole story. Everybody talks about it--and why not? From tornadoes in the Heartland to hurricanes in the Gulf, blizzards in the Midwest to droughts across the South, weather matters to Americans and makes a difference in their daily lives. Bernard Mergen's captivating and kaleidoscopic new book illuminates our inevitable obsession with weather--as both physical reality and evocative metaphor--in all of its myriad forms, focusing on the ways in which it is perceived, feared, embraced, managed, and even marketed. From the roaring winds atop Mount Washington to the reflective calm of the poet's lair, he takes a long-overdue look at public response to weather in art, literature, and the media. In the process, he reveals the cross-pollination of ideas and perceptions about weather across many fields, including science, government, education, and consumer culture. Rich in detail and anecdote, Weather Matters is filled with eccentric characters, quirky facts, and vividly drawn events. Mergen elaborates on the curious question of the "butterfly effect," tracing the notion to a 1918 suggestion that a grasshopper in Idaho could cause a devastating storm in New York City. He chronicles the history of the U.S. 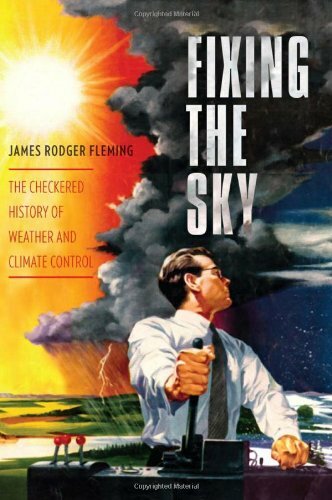 Weather Bureau and the American Meteorological Society and their struggles for credibility, as well as the rise of private meteorology and weather modification--including the military's flirtation with manipulating weather as a weapon. And he recounts an eight-day trip with storm chasers, a gripping tale of weather at its fiercest that shows scientists putting their lives at stake in the pursuit of data. 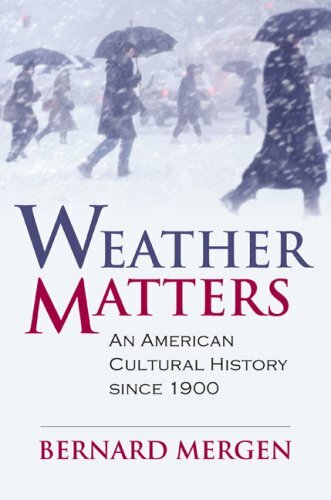 Ultimately, Mergen contends that the popularity of weather as a topic of conversation can be found in its quasi-religious power: the way it illuminates the paradoxes of order and disorder in daily life--a way of understanding the roles of chance, scientific law, and free will that makes our experience of weather uniquely American. Brimming with new insights into familiar experiences, Weather Matters makes phenomena like Hurricane Katrina and global warming at once more understandable and more troubling--examples of our inability to really control the environment--as it gives us a new way of looking at our everyday world. Winning entry, Professional Cover/Jacket Category, in the 2009 New England Book Show sponsored by Bookbuilders of Boston. 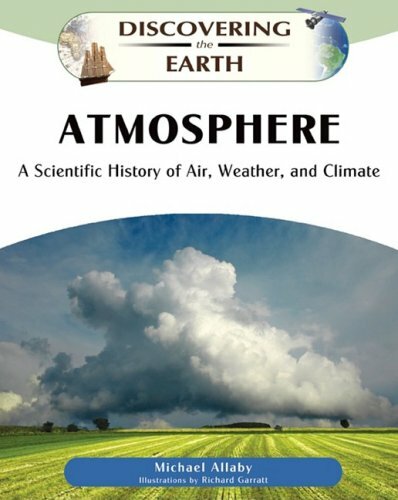 and Winner, History Category, 2008 ASLI's Choice Award given by the Atmospheric Science Librarians International. For much of the first half of the twentieth century, meteorology was more art than science, dependent on an individual forecaster's lifetime of local experience. 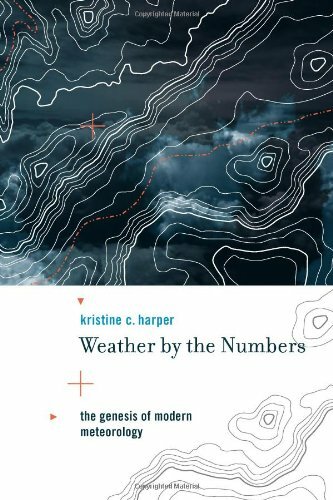 In Weather by the Numbers, Kristine Harper tells the story of the transformation of meteorology from a "guessing science" into a sophisticated scientific discipline based on physics and mathematics. What made this possible was the development of the electronic digital computer; earlier attempts at numerical weather prediction had foundered on the human inability to solve nonlinear equations quickly enough for timely forecasting. After World War II, the combination of an expanded observation network developed for military purposes, newly trained meteorologists, savvy about math and physics, and the nascent digital computer created a new way of approaching atmospheric theory and weather forecasting. Imagine a world without the weather forecast. Is it likely to be warm and sunny for the fete at the weekend? Will Thursday be a good day to make that ferry crossing, or would Friday be better? We might scorn it and deride it, but we still consult the men - and women - from the Met Office, rather than a piece of soggy seaweed, before deciding whether to set out with a brolly in the morning. More than one hundred and fifty years the best forecast available was the weather glass with its imprecise predictions of 'Fair' or 'Changeable'. Before that, man consulted the animals in the fields, the birds in the sky, clouds, insects, the moon - even astrologers, oracles and the ancient gods. The tale of the emergence of forecasting from mythology, through the weather glass and into meteorology is a story fraught with conflict between scientists and seers; it involves the riding of storms; the scouring of the wide oceans in small sailing ships and soaring to the sky in balloons. This book traces the story of man's attempts to foretell the coming weather, and shows how weather prediction emerged from the realms of the seer and charlatan into credible acceptability. From low humor to high drama, TV weather reporting has encompassed an enormous range of styles and approaches, triggering chuckles, infuriating the masses, and at times even saving lives. In Weather on the Air, meteorologist and science journalist Robert Henson covers it all—the people, technology, science, and show business that combine to deliver the weather to the public each day. A handy reference to the awesome forces of nature we witness every day. My husband and I started watching the Teaching Company's course on Meteorology and I had planned to use this book as a reference for extra reading. This book's explanation for black ice was one sentence, couldn't find psychrometer, vapor capacity or vapor supply, etc. Maybe this book needs to be updated but I haven't found it helpful OR interesting in the layout.I usually like the Complete Idiot's Guide books better but ordered this one because of the five stars. It doesn't deserve a high rating. There HAS to be a better beginning weather book out there but it isn't this one. If you know very little about the whys & wherefores of weather then this is the book for you.It is a light read and gives you all you need to know.You won't be able to work as a professional weatherman, but you will get a good grasp of the intricate science of meteorology.I recommend the book and the price is right. Easy to Understand and a Great Book! If you would like a general understanding of the weather this is the book! It's an easy read and full of information. The good thing is that you won't need a scientific dictionary to get through this book. Highly recommended. The problem with most weather books is that they have a tendency to assume you already know too much. Believe me I know for I understand weather rather well and own a good many books on the subject as stated before. Being educated as to weather and its terminology and technical aspects is something that is both most entertaining and interesting, especially when you are reading a book that begins by assuming you barely understand and know what weather is. A good book that expresses it all in a plain easy to understand style brings a whole new understanding to terms like a front, back door high, Yankee clipper, and the sentimental favorite, the good old Nor'easter.The Dummy series of books has always been a favorite of mine.I own several of them.Everything from weather here to bird feeding.I not only enjoy the sheer volume of knowledge that is always included in their pages, but I very much enjoy the old time folksy way that the information is delivered.The Dummy book on weather is definitely no exception.It begins with a chapter that is comparable to weather 101, and it's laid back easy style makes it fun and enjoyable, while at the same time being very informative from the opening chapters.Like all dummy books I have owned, there is also a generous helping of humor thrown in every chapter as well.It's my opinion you will find this weather book comfortable in your home as either a book that is occasionally picked up and thumbed through, or something you can't find it permissible to put down and end up reading from cover to cover.In any event, you will not onlyfind yourself gathering a very respectable knowledge base along the way as to weather and its terminologies, but well understanding all those facts and figures we have heard on TV weather forecasts since childhood, but really don't understand much at all.It is well worth the price that Amazon is asking for it here, and even a bargain as dummy books go.Especially if bundled into a free shipping package. by Patrick Hughes, N .O. A. A. Nowhere in the world is weather as volatile and powerful as it is in North America.Scorching heat in the Southwest, hurricanes on the Atlantic coast, tornadoes in the Plains, blizzards in the mountains:Every area of the country has vastly different weather, and vastly different cultures as a result. Braving the Elements is David Laskin's delightful and fascinating history of how our unique weather has shaped a nation, and how we've tried to cope with it over centuries. Since before Columbus, the peoples of America have struggled to make sense of the capricious and violent nature of America's weather.Anasazi Indians used the rain dance (and sometimes human sacrifice) to induce rain, while the Puritans in New England blamed the sins of the community for lightening strikes and Nor'easters.IN modern times we carry on those traditions by blaming the weatherman for ruined weekends.Despite hi-tech satellites and powerful computers and 24-hour-a-day forecasting from The Weather Channel, we're still at the mercy of the whims of Mother Nature. 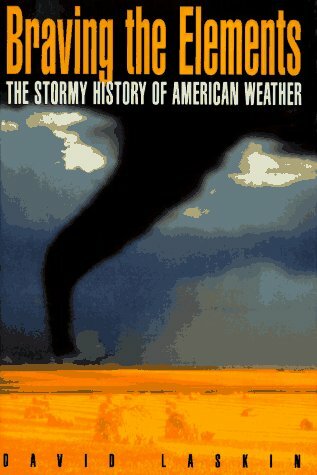 In 'Braving the Elements', Laskin gives us a brief history of American weather and how we have survived, forcast, and endured it.The first part of the book looks at Native American and colonial weather, explaining how our perceptions of the elements were being shaped even then.A fascinating chapter looks at the West and the Great Plains, describing the tornadoes, blizzards and dust storms common to the region. 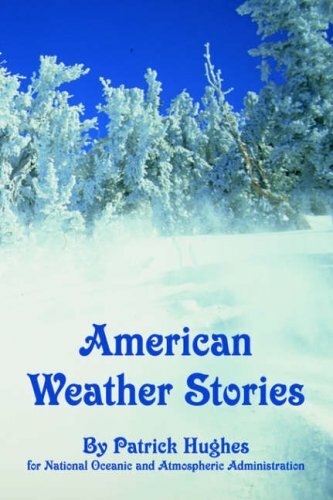 The book's second half covers the National Weather Service and present-day meteorology, showing how technology has changed the art of weather forcasting.We see the daily weather report through the eyes of the weather men themselves. Laskin is a great writer whose book will appeal to weather buffs and others alike.I only wish he had spent more time covering specific storms in our history and how they have shaped communities. It troubles me to no end that books that are to be taken as scholarly would stoop to using FAKE photographs....in this case none other than the famously fake tornado on the cover....to sell the books. I wish I knew if a) the author, being well-versed in the topic he has written about, KNOWS the photo is fake and is trying to hype his product or; b) he is ignorant of such? I am not sure which is worse? Until consumers cite their disgust with such ploys we are doomed to not knowing what is real and what is FAKE even in so-called non-fiction or "scientific" text. The publisher should be ashamed. 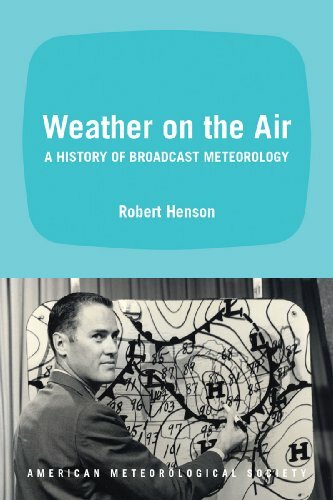 Every other day we get some weather disaster on cnn then forget it.Thisbook gives the larger picture, over time: the patterns and changes, as wellas a fascinating history of how weather was viewed and recorded. You'llfind lots more here than you would think. A great read for the weather and history buff! Now in paperback! Every young person who cares about preserving the planet needs to know what’s inside this book—and follow the authors’ call to action. was saying! I rate the second part an eight out of ten. read parts two and three, and read all the Call to Actions! WE ARE THE WEATHER MAKERS is a great book for pre-teens and teens to learn about our climate and how it is changing. Starting out with how the carbon cycle works and how to learn to offset your carbon footprint, to sustainable energy sources such as the sun and wind power - this book covers it all. If you want to teach your children to be responsible and help fix our ailing planet, then this book is for you. Filled with a lot of information and examples of ways that other kids have helped make a change, it is a great tool for either the classroom or at home. An amazing, enlightening, and endlessly entertaining look at how weather has shaped our world. Throughout history, great leaders have fallen, the outcomes of mighty battles have been determined, and the tides of earth-shattering events have been turned by a powerful, inscrutable force of nature: the weather. In Blame It on the Rain, author Laura Lee explores the amazing and sometimes bizarre ways in which weather has influenced our history and helped to bring about sweeping cultural change. She also delights us with a plethora of fascinating weather-related facts (Did you know that more Britons die of sunburn every year than Australians? ), while offering readers a hilarious overview of humankind's many absurd attempts to control the elements. If a weather-produced blight hadn't severely damaged French vineyards, there might never have been a California wine industry. . . .
What weather phenomenon was responsible for the sound of the Stradivarius? If there had been a late autumn in Russia, Hitler could have won World War II. . . .
Did weather play a part in Truman's victory over Dewey? Eye-opening, edifying, and totally unexpected, Blame It on the Rain is a fascinating appreciation of the destiny-altering vagaries of mother nature&#8212and it's even more fun than watching the Weather Channel! 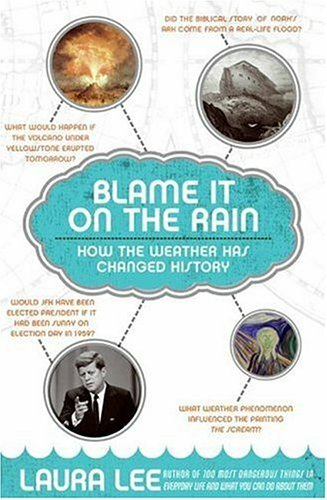 A synopsis about how the weather could have changed History! Very Good thinking Material. It's a little too generalized. Could have been more in-depth as to the times in history involved. Short recaps of history bent by weather.Sometimes the historical background is too short, too sketchy, or too cute.The majority of the recaps focus on changes in military fortune caused by the weather, not surprisingly since these are the most well documented.Still, Lee might have done deeper research and more serious writing to uncover more weather-related connections to history. Due to its very short chapters that are unrelated to each other, this book is great for those of us who only have time to read once in awhile.It is interesting and pseudo educational with historical tidbits throughout.However, the chapters are so different from one another that I found it difficult sometimes to read one right after the other. Who Said History Was Hard...or Dull? Good history is hard to find. For example, did you know? --At one point in human history, there may have been as few as 500 women capable of procreation. They were very popular. --Because of the bubonic plague which first...well, plagued Europe in the 6th century, English is the dominant language in the world today. --The hostile climate in Siberia made it possible for the eruption of modern American culture. --Napoleon lost the battle of Waterloo because it was raining. --Had it not been for the Little Ice Age in the 15-16th centuries, we would not have Stradivarius violins today. --In 1947, a scientist proved you could change the course of a hurricane headed to the coast of Florida by dropping two hundred pounds of dry ice into its eye. What the scientist didn't demonstrate was that he could control the new direction, which was Savannah, Georgia where it did about five million dollars worth of damage. The Georgians weren't amused. Of course you didn't know all this. How could you? There's a lot more history than there's time to read it, which is why the world owes a great debt of thanks to Laura Lee for bringing into the light so much that had been hidden in mist and fog. With a dry sense of humor and a keen eye for recognizing and marrying apparently unrelated events, she has created the perfect excuse for abandoning Gibbon's 25,000 page Decline and Fall of the Roman Empire and relying on her slim volume for the truth behind much of world history. The book brings to mind that most august and definitive history of the island of Britain, 1066 and All That: A Memorable History of England, comprising all the parts you can remember, including 103 Good Things, 5 Bad Kings, and 2 Genuine Dates. Written by W.C. Sellar and R.J. Yeatman and published in 1930, it proved that history need not be long, complicated, or even accurate in order to be interesting. To her credit, Ms. Lee tackles the entire world. At one point she toys with the notion of bring the Big Bang Theory into her thesis, but, in this reviewer's eyes, wisely backs away. That's a black hole from which few if any historians, even of Ms. Lee's caliber, ever return. There are books that, like potato chips, cannot be put down. There are others that, like fine chocolate, must be savored a bit at a time. Blame it on the Rain clearly falls into the latter category. One only need pick it up to read a brief chapter (few are longer than five or six pages,) smile, and feel ennobled by the wisdom one has gained. While not a large box of chocolates, the book, if read properly, can keep one's appetite sated for months. There is one significant flaw in the book that cannot be overlooked. Ms. Lee has been duped by Sir Thomas Moore (when he was still a lackey publicist for Henry VIII) who influenced Shakespeare into creating the pernicious lie that King Richard III of England murdered two young princes and stole the throne of England for himself. This is not true. Nor was Richard a hunch-back. Nor was he a particularly bad guy. He just happened to not be of the same family as Henry VII who needed to buttress his dubious claim to the throne. 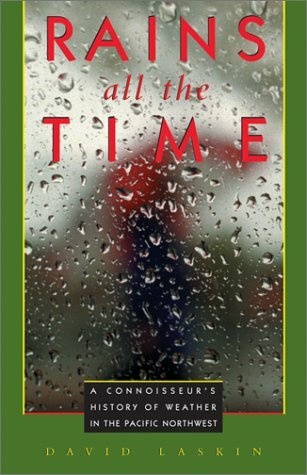 Ms. Lee does have a message within this delightful romp through the mud, rain, sleet, and snow. "If all of this history and science has taught us anything it is this: We are neither the masters of the weather nor the servants of it--we are in a marriage with it." We may not be masters of the weather, but Laura Lee is a master of the English language. Her writing is crisp, direct, and playful while at the same time powerful enough to bring to life some of the great horrors of human existence. 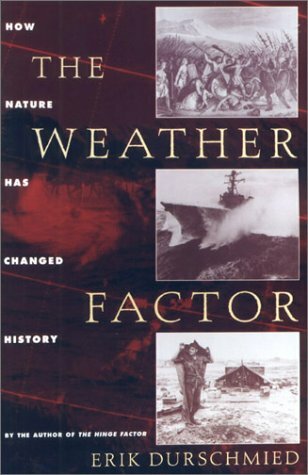 Weather Factor is Durschmied's second contribution of interesting yet counter-factual history.While still entertaining, Durschmied seems to be scraping the bottom of the barrel or was rushed to publish Weather Factor.His characteristic writing style is lacking in the sequel as is the solid analysis present in Hinge Factor.Weather Factor is still worth the read, but like many sophomore productions, does not live up to the original. due to weather ( battles were won or lost or never fought). they would have doomed themselves to fall out as a result. The Chinese navy off Japan and the Spanish Armada both found that winds can play a big part in war. using some of the new discoveries of science. This mostly history book is a useful and educational one. Can the weather change history? Very likely so.In the 'Weather Factor', Erik Durschmied uses examples from the Roman Empire to Vietnam to show that the elements can make a difference.He is a fine story teller and writes fairly well, but the work suffers from three major flaws. First of all, with one exception, all of his chapters are on battles or wars.Many of these certainly belong there, and they are interesting enough to read about, but I believe the book would have been better served if non military events were included.How, for example, has exploration and settlement been affected by the weather?What effect has the weather had on disease and famine? Secondly, Durschmied rarely compares or contrasts his events with others, denying us the chance to see how history could have been different if things had been done another way.How, for instance, did the Russian winter impact Napolean and Hitler's armies differently?Why was the Mongol fleet wiped out by a typhoon while the US Pacific fleet largely survived? Finally, the weather is never even shown to be the decisive factor in some of the cases described.This is most clear in the chapter on Vietnam, where the author was stationed as a reporter.Here he goes on for several pages about combat horrors he witnessed, including one scene where an apparently docile old women throws a grenade into a group of soldiers.Yet at the end of the chapter he tells us that the real enemy was the elements!Nature was in control the whole time.Really?In the end I feel the lack of analysis spoiled what could have been an excellent book. Want the truth about this book? Erik Durschmied's The Weather Factor: How Nature Has Changed History documents the influence of weather through history.From the storm that devoured Varus' legions in AD 9 to the monsoons of Vietnam in '65, Durschmied chronologically outlines the inescapable impact of the elements through a primarily military-driven theme. While a well-meant endeavor to capture the essence of the historical ramifications of weather, Durschmied fails to appeal adequately to either the historian or meteorologist. He tritely draws from the ignored lessons of Napoleon that fostered Hitler's failure during Barbarossa. A historian knows already of both Napoleon and Hitler's defeat within the context of the harsh Russian winter and is afforded little new historical insight. The weather-savvy reader gleans no novel data or understanding either. Essentially, Durschmied treads on hackneyed ground only to see his footprints lost in a muddled field of bathos. In the midst of a developing martial theme, the sudden interjection of Ireland's potato blight of the 1840's solidifies the strain of disorganization featured in this book. While the societal and economic ramifications of the climatologic fluctuation promoting the blight were felt internationally, this chapter adds an element of disruption and confuses the theme-driven reader. However, larger problems plague the organization of Durschmied's work. While a sound chronological method is applied, Durschmied interjects several terse chapters that fail to do justice to the most important events of the modern military age. D-Day, the largest military campaign launched by man, is afforded a mere two pages. Only a page and a half are reserved for weather's impact on the target selection in 1945 that launched the Nuclear Age in Hiroshima. Durschmied seems to communicate his inability or lack of desire to either research the events or make substantial claims from these scenarios. Rather he allows his work to be lost in oftentimes laborious narratives about seemingly inconsequential events when compared to the scale and impact of Hiroshima and Normandy. Weather fronts are still as unpredictable as they were during the days of Noah. We must learn to live in harmony with nature. It would be folly for man to try to master the elements; there are simply too many imponderables. Man has managed to harness almost everything. But God still controls the elements. In a failing attempt to provide some conclusive form to his already laboriously disorganized read, Durschmied flails with illogic and inconsistency. The Weather Factor lacks entertaining passages but for the chapter documenting Admiral Halsey's typhoon-battered fleet. Fairly blending a historical narrative with meteorological data, Durschmied provides a glimpse in this chapter of what this book should have been. Yet this lone oasis is not enough to redeem an overall dissatisfying trounce in the world of weather and history. This book has received mixed reviews;therefore my expectations were not high when I started it.The first couple of events didn't excite me too much,but then they happened so long ago and I am not too familiar with those times. The more I got into the book ,the better I found it.The author gives very good summaries of events that in most cases were very complicated.This is not simple,but coming from a background of a journalist he does an excellent job.I find most history writing is too detailed even to the point of being an exercise in drudgery.The author is crisp and only drags out the story enough to set the scene.Then he goes into a good description of the weather condition and how it impacted the event.He shows in these events that the weather conditions had much more impact on the outcome of the event than the skills or the weapons of the forces involved. I have read extensively about The Great Potato Famine and was impressed how well he covered this massive event which was very complicated,extended over several years,and did it in only 18 pages.In addition ,he really brought out the effect the weather had;a factor that is not usually as well emphasized. A book of these shortened historys also reminded me of somewhat "corresponding"(in want of a better word) events.For instance I had never given it much thought that The Red Army launched it's defense of Moscow on Dec 6,1941 the day before Japan attacked Pearl Harbor.Another thing was that at the same time that Napoleon was trying to take Moscow the British and the Americans were fighting the War of 1812 in North America. The Potato Famine in Ireland may have had it's roots in the American Potato Blight of 1844.However;this may be of some question as I believe the blight also occurred in several other european countries.The effect elsewhere was nowhere as disasterous as the other food supplies were not shipped out of those countries by the landowners as happened in Ireland. Two other cities ,Kokura and Niigata were ahead of Hiroshima and Nagasaki as targets;but were by-passed because of weather conditions. 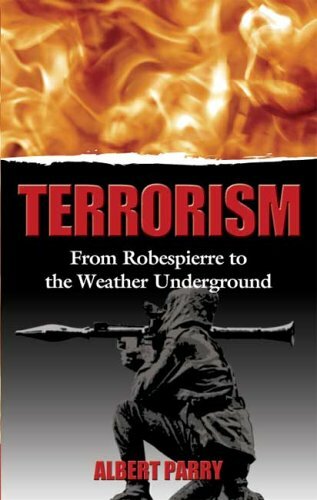 The author also tries to make one think of how future events,particularly wars will be influenced by weather. "Man has managed to harnass almost everything. But God still controls the elements." By the way there is an excellent Bibliography and Index at the end of the book. This enduring landmark offers precise descriptions of terrorist organizations and events, and analyzes the changing nature and evolution of unconventional political warfare. From the genesis of the Great Terror to the mass terrorism of Stalin, Hitler, and Mao, to the Symbionese Liberation Army, this study remains unsurpassed. 30 black-and-white illustrations. Good book if you are interested in the physics of weather at a micro and macro level in the bay area. I have beenn using this book for yeaars--I began with the first edition, and now am enjoying the second.It is brief; to the point.And as a native of S.F., I can attest to its accuracy. The weather near the sea is almost always unpredictable,but Gilliam gives all the components, all the causes, and makes it possible to understand--if not predict--our weather. The only problem I find is that the book is too short. This short book provides a very understandable explanation of how Bay Area weather is formed by topography, winds, and the ocean.He devotes sections to the four seasons, in which he tells how the fog is formed, where storms come from, and why there is so much variation within Bay Area microclimates.He also has a chapter on clouds, and a concluding chapter on climate change.I never knew much about weather (besides what I understood from forecasts on TV: sunny, partly cloudy, rain, etc. ), but now I appreciate more the unique climates of the SF Bay region. Ever wonder why it's SO COLD at Candlestick Park? 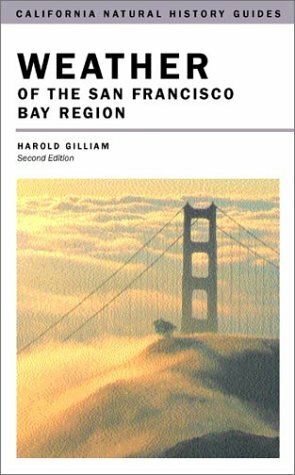 Ever wonder why there's so much summer fog, and why it burns off in by Noon?Ever wonder why it can be 45 in San Francisco and 100 in San Jose?Harold Gilliam's conciselittle book will tell you! His explanations of the cyclic weatherpatterns of the Bay Area, and the interactions between ocean-born eventsand the coastal, Bay and mountain geographies are easy to understand.Evenmore enticingly, they're easy to observe. A great read for anyone wholives in (or even visits) the Bay Area. We need to start thinking for the future..
Are you concerned about what is going to happen to our world as we know it? In the last few years especially, the weather patterns all over the country have been so erratic, no one has really been able to predict the activity accurately. 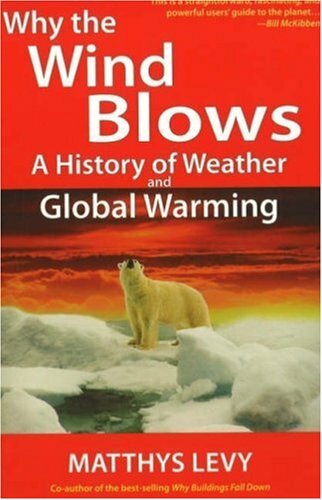 The author of this book, Matthys Levy, uses simple words and true stories of the past that were effected by weather to get the readers attention as to what is happening to the world. From Magellan's 38-day adventure to the Unsinkable Titanic to the flooding in the Midwest (did you know nine time more people die in floods then hurricanes or earthquakes? ), Levy describes how the weather effected many areas of our history. What really is causing Global Warming?? The 6 million people in the world, the way we create energy, weather and all the other reason the author gives are high on the list of many that is causing our world to fit back at us. The scariest fact I have seen are the ice caps melting. Seeing the photos from years past and now makes you wonder what our world is going to be like in 10-15 years. I would recommend this book for all ages to read. You will get a better idea of what we are facing in the years to come if we don't start taking better care of our world. Poorly written and disjointed, this book does at least have some interesting historical stories to tell.With the help of a good editor, it's possible Levy could have told them well. However, the book has significant problems.Touted as a science book, it alternates between English and metric measurements, sometimes given one and sometimes both, and sometimes using terms of measurement like "mps" without defining whether the author means miles, meters, or some other unit. The author seems to somewhat confuse issues related more to geography than to climate or weather.The stories related to the Titanic and to Stanley and Livinstone make little case that is related to global warming or global weather patterns as opposed to local geography and climate, for example. There are no citations, no sources given for almost any claims or statistics, and there are terms in bold throughout the book with no glossary or definitions to explain them. Furthermore, Levy makes claims of world-wide change based on single event anecdotes, all the while jumping around in chronology and topic without much coherence. In this day of advanced graphics, there is no reason why the diagrams and illustrations should be hand drawn, hand lettered, and not always directly related to the text. I am reasonably well-versed in global warming science and concerns, and they frighten me a great deal; I am not trying to dismiss what Levy is conveying.I only wish he had done it better to get his desired message across to readers in a more compelling, more coherent, and more authoritative. Not long ago, meteorology seemed like a science topic that is important only for those who predict weather for government agencies or TV forecasts. Now, a basic understanding of the science of weather is crucial in order to discuss global warming, which may be the greatest threat to the future of life on Earth as we now know it. Benjamin Franklin . . . James P. Espy . . . Cleveland Abbe . . . Carl-Gustaf Rossby . . . Jule G. Charney . . . just a few of the remarkable individuals who struggled against formidable odds to understand the atmosphere and predict the weather. Where they saw patterns and processes, others saw randomness and tumult–and yet they strove to make their voices heard, often saving lives in the process. Storm Watchers takes you on a fascinating journey through time that captures the evolution of weather forecasting. From the age when meteorology was considered one step removed from sorcery to the modern-day wizardry of supercomputers, John Cox introduces you to the pioneering scientists whose work fulfilled an ancient dream and made it possible to foretell the future. He tells the little-known stories of these weathermen, such as Ptolemy’s weather predictions based on astrology, John Finley’s breakthrough research in identifying tornadoes, and Tor Bergeron’s new techniques of weather forecasting, which contributed to its final worldwide acceptance. Anyone who watched the incredible computer-generated graphics of Hurricane Ike nearing the coast of Texas this month might find this book quite fascinating. 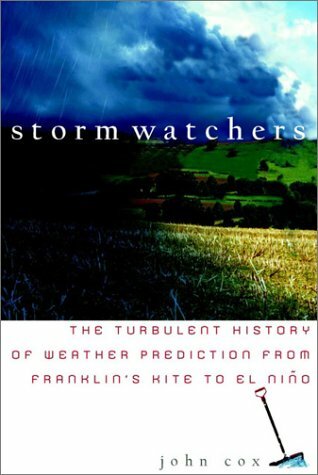 It traces the history of weather prediction and the development of the science of meteorology over the past 200 years and an interesting story it is, replete with colorful individual geniuses who pushed the frontiers of knowledge forward -- and dumb bureaucrats and politicians who tried to block them at every turn. The book begins with Benjamin Franklin who was the first to notice that the winds in a storm moving northwards might actually be blowing in a southerly direction.But most of the other men profiled in this book who made the most striking contributions to meteoroloy -- Americans, Britons and most noticeably Norwegians and Swedes-- I had never heard of. There was the chemist Luke Howard who classified the different kinds of clouds and gave them the names we know today -- cumulus, stratus, nimbus. William Redfield was not a trained scientist but in 1821 the New Yorker was the first to describe the circular motion of winds in a hurricane. Twenty years later, Elias Loomis, a professor of mathematics and philosophy, was the first to produce a weather map. But for much of the 19th century, weather forecasting faced tremendous opposition from those who said it was contrary to God's will as well as producers of popular almanacs who faced the loss of their business. Robert FitzRoy, who captained the Royal Navy ship The Beagle which took Charles Darwin on his historic voyage to the Galapagos, coined the word "forecasting. "But progress in the United States ground to a halt after the Civil War when weather prediction was placed under the control of the Army. Things grew even worse at the end of the 19th century when political appointees hostile to science took over in the administration of Grover Cleveland. The comparison to today's debate over global warming and the Bush administration's refusal for so many years to admit the problem, much less grapple with it, are too obvious to be ignored, though the author of this book does not belabor them. The consequences of blindly ignoring science were graphically and tragically demonstrated in the great hurricane that destroyed Galveston in 1900.Isaac Cline was in charge of weather forecasts in the city, though he was not a leading scientist. He baldly stated, based on no reliable data, there was no chance of a hurricane striking Galveston. He encouraged the city fathers to demolish the sea wall protecting the city. The government also took the distastrous step of denying weather watchers in Cuba access to the telegraph system because "hurricane warnings unnecessarily riled the natives." After the disaster in which he lost his own wife, Cline launched a coverup, falsely stating that he had posted hurricane warnings -- and emerged a hero. There are many fascinating stories in this book which is a stark warning of what happens when politicians and bureaucrats hostile to science start their meddling. In 1944, there was a tremendous battle between two forecasters, one renowned scientist Sverre Petterssen and the other Irving Krick, a charlatan who had somehow built himself a career in the field. They disagreed over the weather on the day set aside for the D-Day landings in Normandy. Thank God Petterssen prevailed. If General Eisenhower had listened to Krick, who assured him the weather would be fine, the landings would have been a disaster. Thankfully he heeded Petterssen's advice and postponed the landings by one day. There are some faults with this book. The writing can be a bit plodding and the characters hardly burst to life from the page. Still, I found it wonderfully interesting and recommend it to anyone who would like to know about the nightly weather forecasts we now take for granted. For a meteorologist, this is clearly a must read if you're at all interested in knowing more about some of the most influential people in our field.The author obviously has done considerable homework and made some of the pioneers in this field come alive, instead of just being names and old b&w photographs.Since the book is unprecedented and I didn't know many of these people personally, it's not possible for me to say how accurate these word descriptions are, but they have the "ring of truth" to me.Some very interesting parallels can be drawn from the past to the present with the information in this terrific book! John Cox is, and has always been, a phenomenal reporter and writer. This book deserves to be widely read. As a work of history, it is very much welcome -- a book that sheds light on the past of a subject which is, too often, shrouded in myth. I bought this book in preparation for an advanced mariner's meteorology course, and could not have made this comment without having first gained that higher level of knowledge. 1)It sticks to the two-dimensional depiction of weather that is common to the average person.Although there are a couple of illustrations showing altitude, the author could easily have put in a few pages on the rotation of the earth, the 500 mb level, and how weather on the surface cannot be understood without underestanding what is happening at the 18,000 level.As my instructor put it, the high-level troughs are the chicken that hatches the surface level (scrambled) egg. 2)It provides the pictures of the clouds, but missed the key chance to break down the names into the original latin meanings, to create a matrix of high (Cirro), medium (alto), and low (strato), with substantive meaning including layer (stratus), curly (cirrus), stacked in a vertical heap (cumulo-cumulus), and delivering rain (nimbus). Add this little matrix above, and read "Mariner's Guide to the 500-Millibar Chart" by Joe Stenkiewicz and Lee Chesneau, and Google for to find his web site, and you'll have all you need to move to the better three-dimensional interactive viewing of weather and weather charts. A very handy book for "instant" weather forcasting. Interesting to read and written with a bit of humor. The only shortcoming is the arrangment of the photographs of the different clouds, they are not in logical sequence. This small hard to find book (unless you order it online) starts with a basic premise: to predict the weather you need to do 2 things-determine the direction of the wind and identify the clouds currently in the sky. 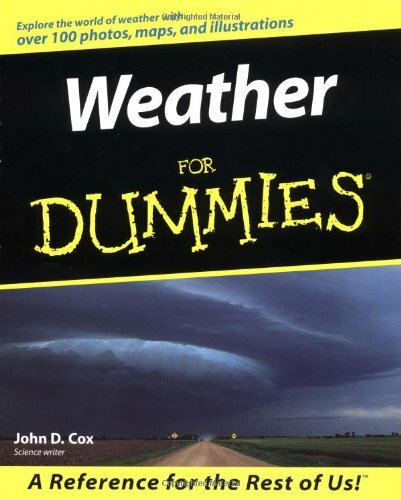 That being said, I would consider this book a great primer for anyone interested in naked eye weather forecasting. The book includes color cloud charts, discusses weather folklore, precipitation, warm and cold fronts, and volcanic eruptions. This a general primer. The information is not spoon fed to the reader. 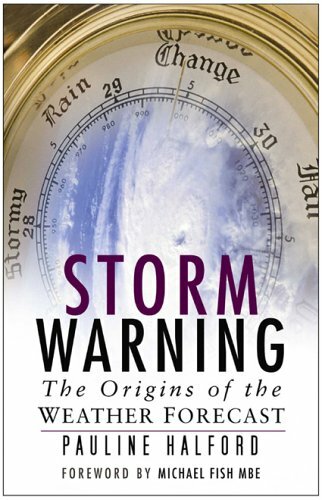 The strength of this approach is Rubin's writing is entertaining and lively, and will enourage you to not only make your own weather predictions, but to also seek more information outside the scope of the book. The weakness is that some of the material is incomplete. The book was completed by Louis Rubin's children with the help of a meteorologist after Rubin passed away (based on the Introduction), using Rubin's cloud photo collections and his collected writings. As a result, some of the material is incomplete. For example, Rubin describes the 4 types of clouds and the 10 specific clouds most associated with weather changes. 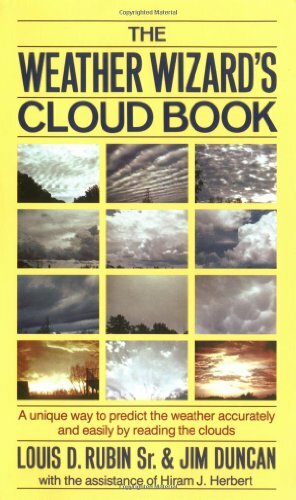 You then have to search all over the book to find those 10 clouds, and even then, you're not sure (based on the prefixed names) if you're looking at the right photographs. I suspect at the time of his passing, Rubin's cloud photo collection was far from complete.